Today, evidence-based studies around scent’s powerful impact on our wellbeing are being released fast and furiously. At the same time, new aromas are being discovered, new scent-based applications and products announced, and new innovations in the ways we harness the power of scent are being found. From candles and oils that evoke a sense of place (miss your hometown smell?…there’s a candle for that) or trigger specific memories (backyard BBQ, grandma’s kitchen, etc.) to psychoactive perfumes designed to evoke new emotions; from art installations, such as Jean-Marc Chaillan’s Mood Cloud, which explores the not too far-fetched concept of melding wellness with big data (such as wellbeing microsensors), to shower calming aromas over stressed-out parts of a city, to the discovery that wine tasting (and smelling) works the brain harder than a math problem. No matter where you are, you are likely being subtly (and not so subtly) influenced by scent. It is believed that an astonishing 75 percent of the emotions we generate on a daily basis are affected by smell, and, because of this, it is believed we are 100 times more likely to remember something we smell over something we see, hear or touch. Though most of us instinctively understand that scent (baking cookies, a campfire, gardenias, etc.) is tied to memories and can transport us to another place and time in our lives (often referred to as the “Proust effect”), we didn’t really understand how or why until fairly recently. In 2004, Drs. Linda Buck and Richard Axel were awarded the 2004 Nobel Prize in Physiology or Medicine for their paper that demystified the sense of smell and our olfactory system, including the discovery that there are approximately 1,000 olfactory genes in our bodies (roughly 3 percent of the human genome). Each olfactory receptor cell is able to detect a minimum number of odors, and Buck and Axel estimated the average human being is able to recognize and remember about 10,000 different scents. This landmark research inspired biologists and neuroscientists to dive even further into our olfactory system. For example, scientists at Rockefeller University are now saying it’s more likely humans can distinguish up to one trillion scents! The sense of smell is the first of the senses to develop. We now know that, by the end of the first trimester, babies can smell what mom is eating—an influence on their future taste—and, once born, smell is the most important of the senses newborns use to orient themselves to their surroundings, much like any other living mammal. Study after study has shown that no other sense has the power to influence and transport us the way scent can. Recently, neurobiologists at the University of Toronto discovered the actual mechanism in the brain that enables us to recreate sensory experiences from memory and were able to map how it connects with the part of our brain where information about space and time is stored. The connection between the brain’s hippocampus (the part associated with forming new memories) and the olfactory nucleus is clear—and could lead to new discoveries about how scent can be used in treating not only forms of memory loss, such as dementia and Alzheimer’s, but also for using the sense of smell to enhance memory recollection and improve cognitive learning (more on this later). 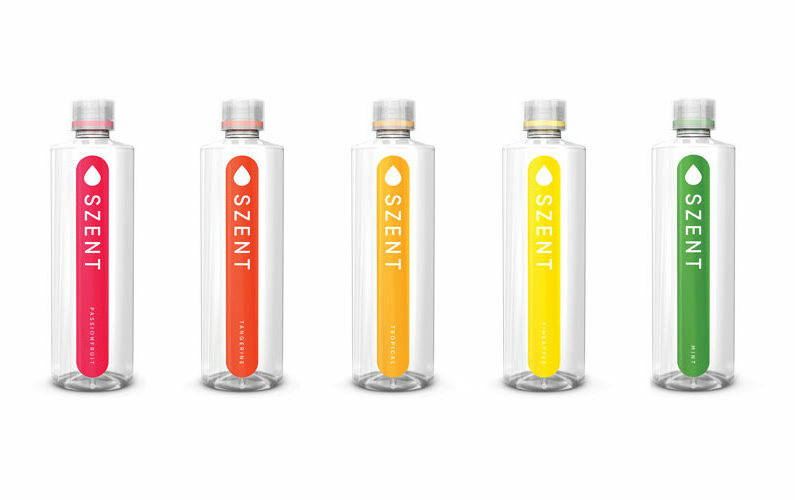 SZENT’s bottles feature collars infused with natural oils that, through sense of smell, promise to transform plain drinking water into something more flavorful. Until recently, smell has been the most underrated and underutilized of our five senses, but it’s turning out to be the most important,” said Joanne DeLuca of Sputnik Futures, a company that specializes in anticipating consumer trends. This reawakening of our appreciation of scent goes hand in hand with many of the larger wellness trends, including the desire to “unplug” and reconnect with the physical world. “Taking time to smell the roses” has taken on a deeper meaning, as we search for more connection, authenticity and mindfulness in every aspect of our lives. And the disruption in fragrances themselves—which have seen a marked shift from traditional luxury perfumes to unconventional, surprising scents—mimics the larger consumer shift to more individual, personal and functional beauty products. The brain/scent connection is being explored in every aspect of our lives—from the personal scents we choose to a growing conscious awareness of aroma’s powerful impact on our daily activities to the building of medical evidence that supports scent’s surprising power to heal. This focus on scent’s powerful connection to our brains and its potential to heal, soothe and delight is “making consumers hungry to learn more about how it can be leveraged for health and wellbeing,” says Matthias Tabert of International Flavors & Fragrances (IFF), a leading innovator of scent. Of course, the concept of aromatherapy, or using scent to treat “disease,” is a centuries-old practice. However, what’s old is new again thanks to huge leaps in technology, fragrance development and neuroscience studies, including new formulations; cleaner and greener ingredients; and more science-based research encouraging medical professionals, health insurers and skeptical consumers to take another, more serious look at this age-old treatment. Mental Wellness: Because the brain hatches memories in conjunction with smell, it’s been discovered that scent can play a healing role for people suffering from neurological disorders, such as dementia or Alzheimer’s disease. Interestingly, scent is featured both in the diagnosis of Alzheimer’s—losing the sense of smell is often an early symptom of the disease—and in its treatment: Scent therapy can help ground and comfort people with short-term memory loss by triggering positive memories from their past. For example, a New York nursing home partnered with scent innovators at IFF to create a “memory” kiosk called “Scents of the Game,” featuring six distinct scents that can be found at a baseball game with the goal of triggering long-forgotten memories for residents with Alzheimer’s disease or dementia. Smelling a hot dog, baseball mitt or popcorn not only connects them to the joy they felt visiting Yankee Stadium in their youth, but this sensory therapy also serves to stimulate their minds and gives them a reprieve from the disorientation they feel in their daily lives. Scent as Flavor: “Eighty percent of what we taste is what we smell,” says Karen Stanton, Director of Global Marketing & Branding for Taste, IFF. It makes you imagine a world where scent can create no-calorie eating and drinking experiences. One real-world example of this comes from SZENT, a company that has developed water bottles featuring collars infused with natural oils that, as you smell them, turn plain, zero calorie drinking water into something else entirely. “Flavors” include tangerine, tropical, pineapple, mint and passionfruit and are available on Amazon right now. In Singapore, an innovative bar and restaurant called the Tippling Club has patrons choose their drink by scent versus reading menus. Taking SZENT’s concept to the next level, imagine alcohol-free cocktails based purely on the smell…no hangover, no guilt—all wellness. Scent in Branding: Using scent commercially clearly isn’t necessarily a new phenomenon—hotels, spas and retailers have been aware of its ability to tap into consumers’ brains for years. What is different is a growing acceptance that “olfactory logos” are a must to complete a brand’s identity. Fun olfactory logo fact: In 2018, Hasbro (US) patented the “scent of childhood” by winning a trademark for its iconic scent of Play-Doh (one of only 13 scent trademarks ever issued by the US Patent and Trademark Office). There is an exploding industry of scent specialists vying for a brand’s marketing dollars to create signature scents as businesses big and small recognize that smell registers in our brains first—before sight, sound or touch. The goal is to either get you to buy more, stay longer, or come back. It appears to be money well spent: Studies show that consumers have a much better experience and are likely to stay somewhere longer and spend more money if the experience includes scent. In fact, shoppers tend to stay 15 minutes longer in locations that are pleasantly scented, and that translates into spending. Advancement in scent technology will start impacting product development in interesting ways. For example, studies show that the longer women can smell their hair-care products, the more likely they are to stay loyal to them. Don’t be surprised if scent scientists develop some way to layer time-released beads of scent into personal care products so that users can get a whiff of that “just washed” smell all day long. Another hair-care innovation comes from HAI Beauty Concepts, which launched a new line of blow dryers that infuses every blow out with the sweet scent of jasmine (with more scents to come). Scent of a Place: Unsurprisingly, the hospitality industry was among the first to register the impact scent can make on brand loyalty. If you’re a frequent traveler, signature scents are likely the reason you feel more at home at a Westin versus a Marriot hotel. 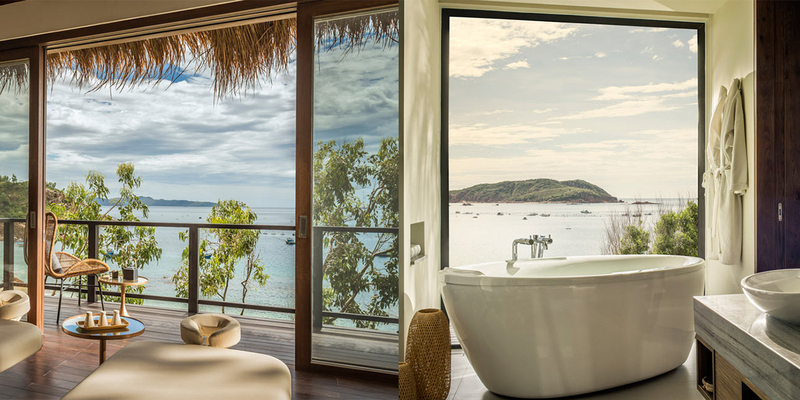 Boutique hotels have smartly gravitated toward scent as a differentiator, and new properties, such as Anantara Quy Nhon Villas in Vietnam and the just-opened Fendi hotel in Rome (Fondazione Alda Fendi Esperimenti), are taking the luxury of scent to another level by letting guests personalize their room’s aroma from a scent menu. Just as intriguing is a new deeper focus on the “bottling” of the scent of a place, allowing you to take home that “holiday” feeling or the relaxation from your last spa visit in the form of a candle or skin-care product. With the scent of your recent vacation wafting through your home or office, your mind and body are transported back to a state of relaxation. Scent’s ability to transport us to other places is used to great effect in multisensory experiences in spas that are designed to chill us out and calm us down. 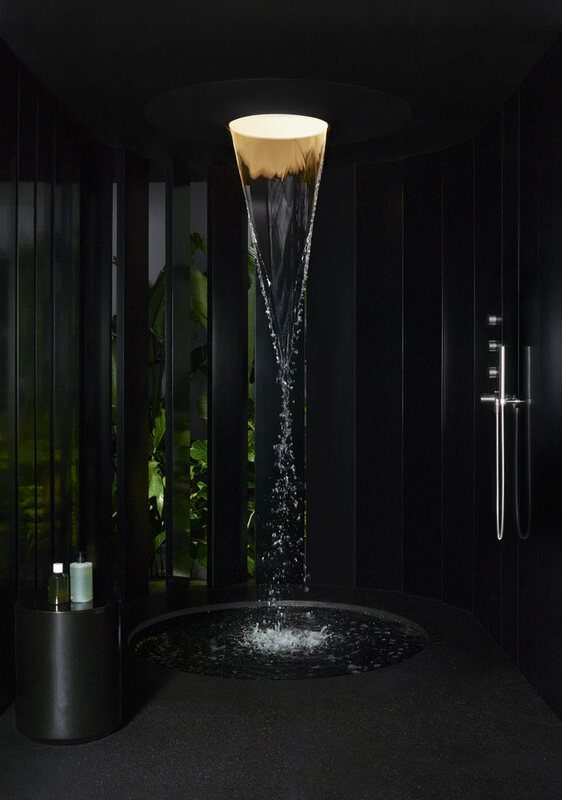 From experience showers to multisensory pods to float tanks, spas are deploying scent to trigger subtle changes in our bodies, such as lowering heart rate and blood pressure, improving breath, and triggering positive memories for stress reduction. Scent Explored in Art: Ambitious multisensory art exhibits that focus on the sense of smell are helping us come to a greater understanding about the role aromas have in shaping our perceptions. Polymorf, a Dutch design collective, created an award-winning art installation entitled Famous Deaths, which seeks to recreate the last breaths of famous people, such as JFK and Whitney Houston. And a recent New York exhibition entitled Avant-Garde explored how scent can create richer experiences. One installation, Dialect for a New Era, partnered a perfumer and a linguist to explore the notion of expanding language beyond words by associating signature scents with them. For example, push a button for the “collective moment of déjà vu,” and you’ll get a whiff of birthday cake. Valeur Absolue’s Harmonie line is infused with ingredients designed to soothe, nurture or inspire passion, including the “stealth” scent of Areaumat perpetua, a natural extract linked to the release of feel-good endorphins. Functional Fragrances: “The future of fragrance will be using scent to ‘biohack’ our brains and bodies to perform better,” says Sputnik’s DeLuca. For example, researchers at Stevens Institute of Technology revealed that the scent of coffee alone might help people perform analytical tasks better, suggesting a placebo-like effect of caffeine. Don’t be surprised if the pleasant aroma of coffee brewing permeates your workspace in the near future! The Nue Co, a UK natural supplement company, has created the first anti-stress supplement that can be worn as a fragrance. Dubbed “Functional Fragrance,” the new scent is unisex and was developed using data insight and research into the connection between cognitive function and the olfactory system. The research of scent’s impact on learning and cognition will flourish over the next few years. Already, studies of rosemary’s effect on cognition indicate that being exposed to the aroma helps people perform mental tasks faster and more accurately. And, a positive side effect is the feel-good factor of aromatherapy: The subjects’ moods improved with exposure to the rosemary aroma. Scent’s Power in Workplace Wellness: Using aroma in workplaces as an invisible mood enhancer—both for employee satisfaction and productivity—is on the rise. A Japanese company found that while lavender and jasmine soothed employees, diffusing a lemon scent was able to increase their productivity by 54 percent. Rachel S. Herz, assistant professor of psychology at Brown University, writes that people who work in the presence of pleasant-smelling air set higher goals and are more likely to employ efficient work strategies. People are more creative in problem-solving when exposed to a pleasant scent compared to an unpleasant one. A Scent of Your Own: A study by Scotland’s University of Stirling found that people choose fragrances that complement their natural scents, indicating that we instinctively choose a scent to work in tandem with our individual body odor and pheromones. An example of this comes in the form of Glossier You, a “skin smell enhancer” that is billed as the ultimate personal fragrance in that the major ingredient is the smell of your own skin, which is enhanced with subtle base notes. The vast array of androgynous and disruptive scents hitting the market is also part of the personalization craze. We are seeing a massive cultural shift that is being mirrored by scent. Not only did Abercrombie & Fitch do away with the manly smell of Fierce in their stores, but they also replaced it with one of their new gender-neutral scents. This craze toward olfactory experiences that aren’t either “pretty and pink” or “musky and male” is everywhere. Unisex scents are flooding perfume counters everywhere as subtle, intriguing olfactory experiences disrupt not only gender norms but also our expectations of personal fragrance. This new “smart” diffuser by Scentee is controlled by a smartphone so users can change the scent according to their mood—or schedule a bedside diffuser to activate in the morning with an energizing aroma. Whiffs to Transport Us: Swedish brand Byredo’s understated scented candles and perfumes are inspired by founder and artist Ben Gorham’s recreations of people and places. “Black Saffron” recalls the smells, tastes and colors of his mother’s hometown in India (saffron, black violet, rose, raspberry and vetiver blended with leather); “Mojave Ghost” seeks to bring the soulful beauty of the Mojave Desert alive in the form of soft notes of sandalwood, Chantilly musk, violet and magnolia; while best-seller “Gypsy Water” evokes time spent in nature, conjuring images through the scent of campfire, mingled with pine needles, lemon and juniper berries. Swiss perfumer Valeur Absolue has added a new wellness dimension to its fragrances, infusing them with ingredients designed to soothe, nurture or inspire passion. They are using what could be called the “stealth” scent of Areaumat perpetua, a natural extract of the flower that is linked to the release in the body of feel-good endorphins. You can’t consciously smell it, but it stays at work in the background. 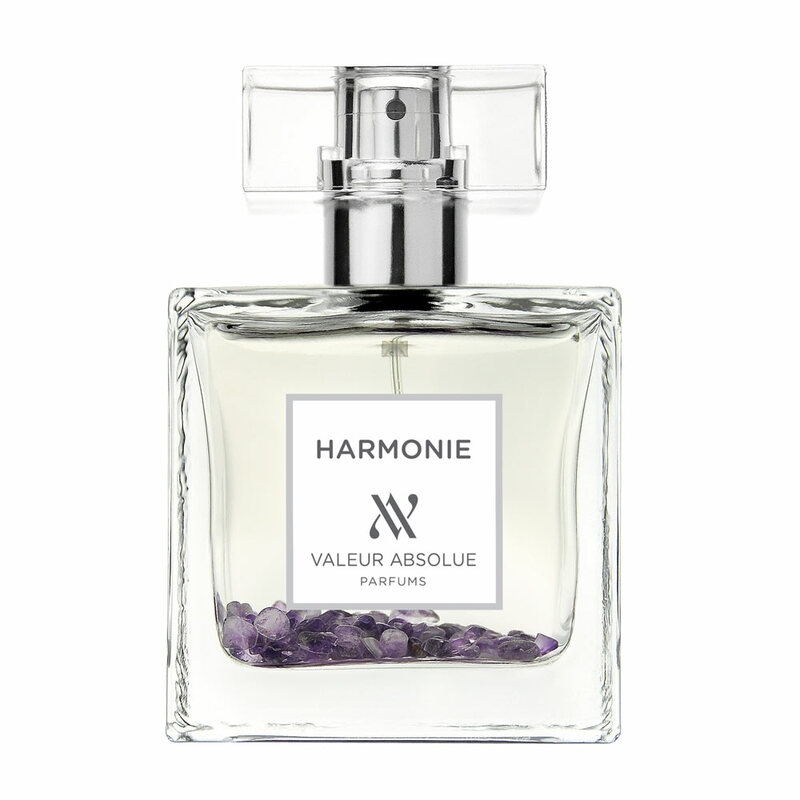 In addition, Valeur Abosolue’s Harmonie line fuses ingredients, such as neroli and Earl Grey tea, vanilla and woody notes, to soothe and calm and adds another touch of wellness in the form of semiprecious stones resting at the base of the bottle to shake in before you spray. Feel-good fragrances abound in this new world of scent. Simple pleasures in the form of the scent of crackling fires, flannel shirts, and unfiltered smells of the forest bring us back to “real” life wherever we are. Though comforting, they are complex—such as D.S. & Durga (US) Amber Kiso, which co-founder David Moltz described in a New York Times article as “an old-world base of vanilla and myrrh and holy Japanese woods, like hinoki and maple, the kind that ritual samurai would rub on their blades.” Another upstart brand, Heretic, has created a liquid version of the traditional sage smudge stick, designed to “combat stale or negative energy.” The perfume leads with white sage combined with juniper and violet leaf to create a heady blend that calms and soothes. The popularity of essential oils in the home has prompted advances in diffuser technology, such as the UK’s Neom Organics Wellbeing Pod, which not only humidifies the air around the user but also delivers the perfect amount of scent for better sleep, less stress and more energy at the touch of a button. 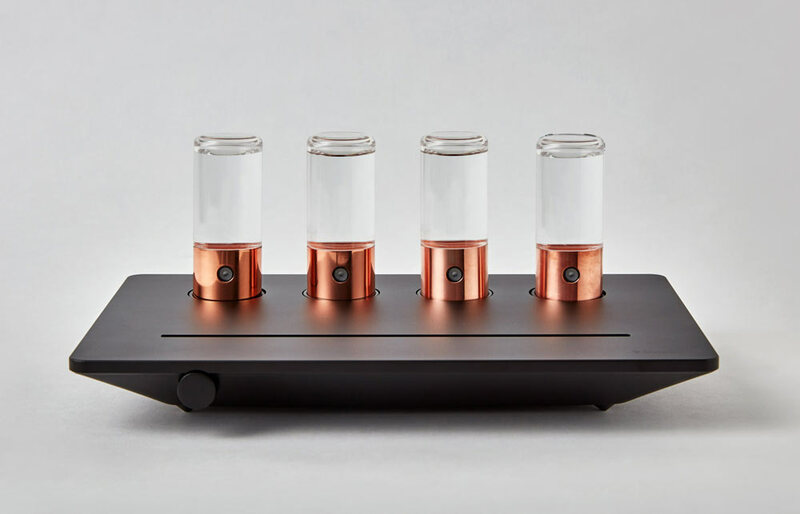 Aeroscena’s Ascents Diffuser is the selected aromatherapy solution in Stay Well Shop, which features products curated by Delos, the company behind the Well Building Standard. The diffuser is calibrated to eliminate the issue of “scent habituation”—the concept that your brain starts to ignore scents after consistent exposure to them—so it quietly emits scent for 10 minutes, then shuts off for 10 minutes on a continuous cycle so your brain won’t ignore the effects of the scent. It also uses innovative gel pods with dry diffusion technology to eliminate the spillage associated with liquid oil aromatherapy. Japanese start-up Scentee is developing a “smart” diffuser that can be controlled by a smartphone so users can change the scent according to their mood via an app—but, even more interestingly, users can set diffusers to activate at certain times, so, for example, your bedside diffuser can start your day with energizing aromas and end your day with your favorite sleep aroma. Digitization of Scent: The next fragrance frontier will no doubt be the digitization of scent. Professional “scent chasers” already use technology to capture the compounds of odors in nature so they can be recreated back in a lab. But start-ups are working to bring this type of technology right into our hands. NanoScent (Israel) is developing technology that enables a smartphone to identify and analyze scents—and claims that once the tech understands your scent profile, it can not only help you choose the best skin-care products or perfumes for you—but it also promises to double as a matchmaker by identifying mates whose scent is a good match for yours. NanoScent’s science is more serious than it sounds. The core technology was invented to detect breast cancer by recognizing the changes in the smell of breast tissue, and it’s currently being used to sniff out drugs in prison. Scientists at the Imagineering Institute in Malaysia recently announced an invention that could enable scent to be transmitted electronically by stimulating neurons in the nose. Though it’s a long way off from becoming a reality, the idea of being able to send a “digital smell” over the Internet or as part of virtual reality or augmented reality is incredibly alluring. It would mean that, while sitting in the comfort of your own home, you could have the full sensory experience of literally anything you can imagine, experiencing new scents, accessing scent memories over the internet, or even taking an online yoga class with the scent of your favorite studio filling your living room. The exploration of scent and the power of our sense of smell in wellness is in its infancy. In the future, we can expect the neuroscience of scent to become more pervasive in everything we do, and aromas will be used in ways we would never have dreamed of—both in public and personal spaces. Friedrich Nietzsche, Ecce Homo: Wie man wird, was man ist (1908). Marcel Proust was the first to link memory with the sense of smell in his novel Remembrance of Things Past.